The Cook's Thesaurus is a cooking encyclopedia that covers thousands of ingredients and kitchen tools. Entries include pictures, descriptions, synonyms, pronunciations, and suggested substitutions. Braised red cabbage goes well with apples, onions, nuts, and red wine, and it makes an excellent bed for pork, duck, and salmon. Choose firm, shiny heads that are as dark as possible. 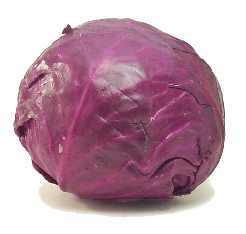 Don't overcook red cabbage or you'll sacrifice flavor and vitamins. An economist explains how real estate buyers and sellers can save on commissions. A do-it-yourself method for dividing personal property fairly among heirs and divorcees. Legumes & Nuts - includes peas, lentils, beans, nuts, and nut butters. Miscellaneous - includes thickeners and food wrappers.